An aerial view of the Santa Barbara area. 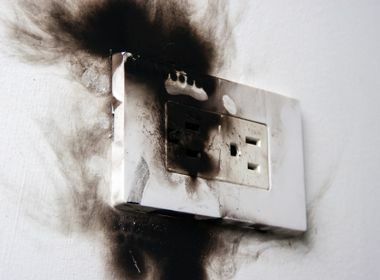 Some customers in the fire-affected areas should be prepared to be without power for days or may experience intermittent outages for the next few days because of damage caused by the fires. UPDATED as of Dec 6, 4 a.m. There are four wildfires currently impacting Southern California Edison customers and service: the Thomas fire along the North Coast, the Creek fire in Sylmar, the Rye fire in Santa Clarita and the Little Mountain fire in San Bernardino. As of 4 a.m., 14,503 customers are experiencing outages across SCE’s service territory. Included in this number are SCE customers impacted by four fires currently burning in Southern California. Thomas fire along the North Coast (6,565 customers), Creek fire in Sylmar (29 customers), Rye fire in Santa Clarita (1,435 customers), Little Mountain fire in San Bernardino (0 customers). Depending on wind and fire conditions throughout the week, these numbers could fluctuate dramatically. Many of the scheduled maintenance outages in areas affected by the fires will be cancelled. Customers who received a recent notification of a maintenance outage can check on its status by going to sce.com/outage. Then select: “View Your Maintenance Outage Status” Customers can use the Outage Number from their notification to get the latest information. Some customers in fire-affected areas should be prepared to be without power for days or may experience intermittent outages for the next few days because of damage caused by the fire. The number of customers impacted by the fires will continue to fluctuate as the fires impact the system. Based on the apparent location of the origin of both the Thomas fire in the Santa Barbara area and the Creek Fire in Sylmar, and the performance of SCE’s system, SCE has no indication that the company’s facilities were a source of the fire. Crews and all field personnel are trying to make assessments, but are hampered by fire conditions. They are waiting to be granted access to the region. SCE appreciates customers’ patience as it works safely to restore power under difficult and volatile conditions. 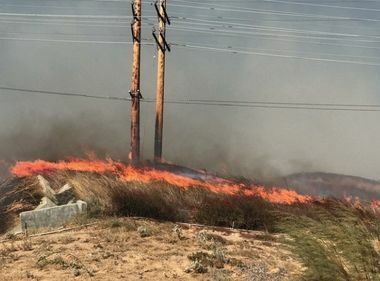 Transmission lines will continue to be threatened as the fire continues to burn along the transmission path possibly causing additional interruptions. A local transmission emergency was declared by the California Independent System Operator due to the loss of critical transmission lines serving the Ventura and Santa Barbara area, and has requested additional generation units to support restoration of power for the impacted area. SCE’s priority is to restore the transmission system or reroute power from unaffected areas to impacted customers. SCE has mobilized resources to the impacted areas, and additional staffing and resources are on standby in event of outages caused by the fire. Due to these potential impacts, the system could face additional strain and customers in the affected areas could lose power. 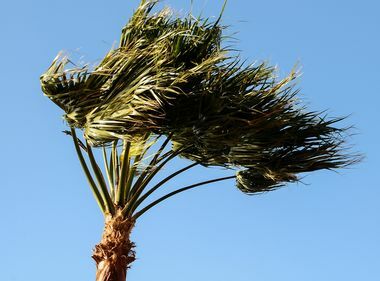 To relieve some of that additional strain on the system, SCE is asking all customers to conserve energy this week. Small actions from customers can make a significant difference. SCE is working with fire operations personnel who are fighting the fire, as well as working closely with emergency operations organizations in the affected areas. Crews will begin to assess fire damage to the system and start making safe and expedited repairs, once access is given by the fire agencies. Power outages in the area may impact traffic signals, and vehicles should treat all intersection as four-way-stops. Use extreme caution.